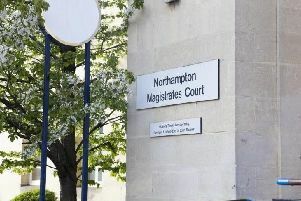 Three men attacked security guards delivering cash to a Nationwide in branch in a Northampton. The robbery happened at the St Leonards Road branch of Nationwide in the early hours of today (Friday, 31 July). The robbery happened shortly after midnight, when security guards delivering cash to the bank were threatened by three men who forced entry to the building. One of the guards was attacked and cash was stolen. The three offenders were all white men, wearing black clothing and black balaclavas. They are described as being of a medium build and between 5ft 10in to 6ft.